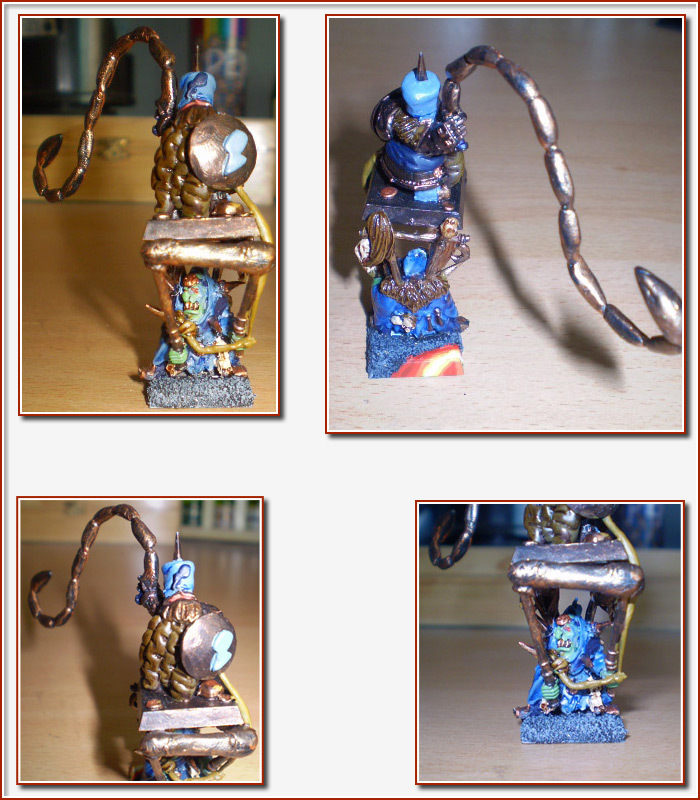 The Golden Hat is a regular painting competition put on by Chaos Dwarfs Online to in an effort to inspire creative ideas and foster growth in the Chaos Dwarf community. 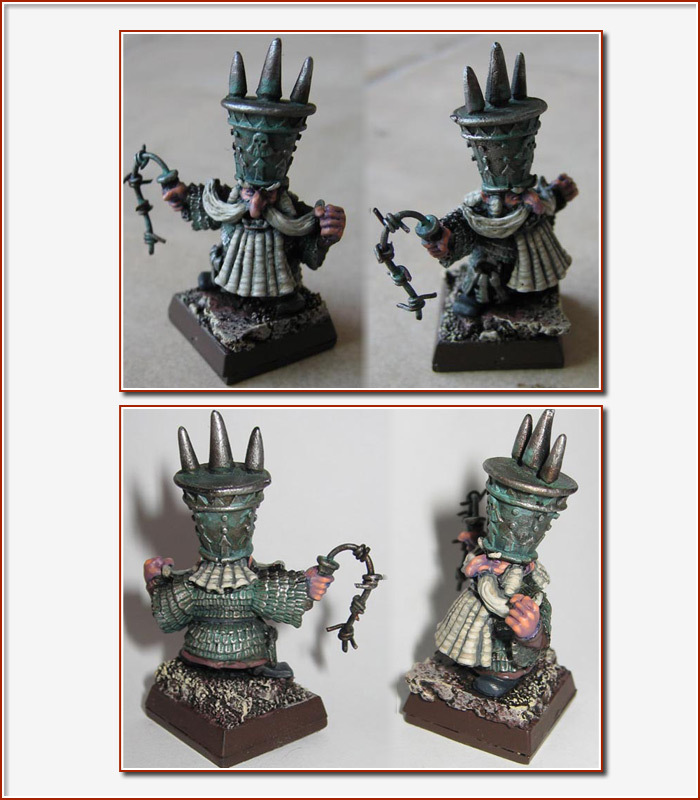 The sixth golden hat required contestants to model a Gaoler or Chaos Dwarf Slaver. 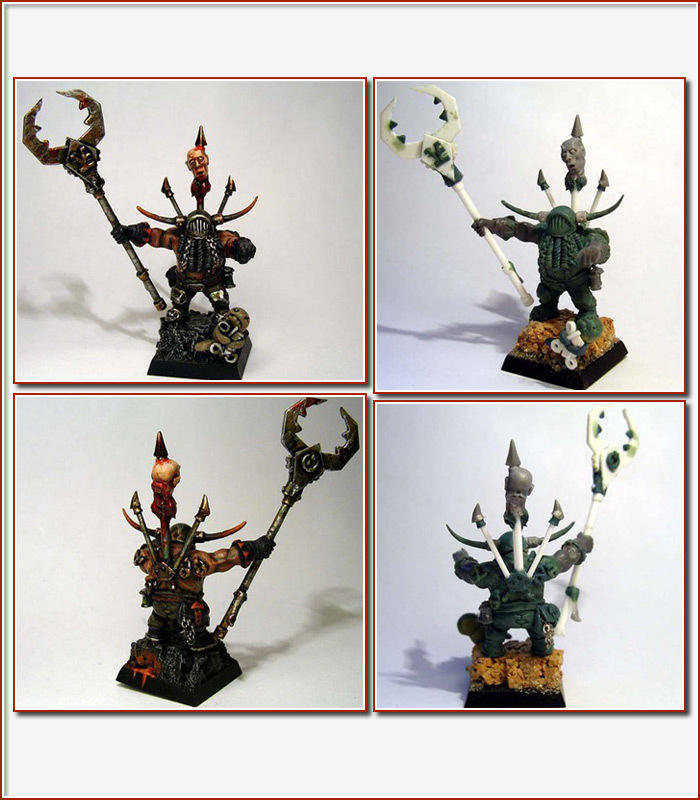 The model is meant to be used in conjunction with Border Town Burning's Black Dwarfs Mordheim Warband. The contest thread can be viewed here, the entrants and votes can be viewed here & here, and the winner was declared here. Golden Hat #6 - Winner! 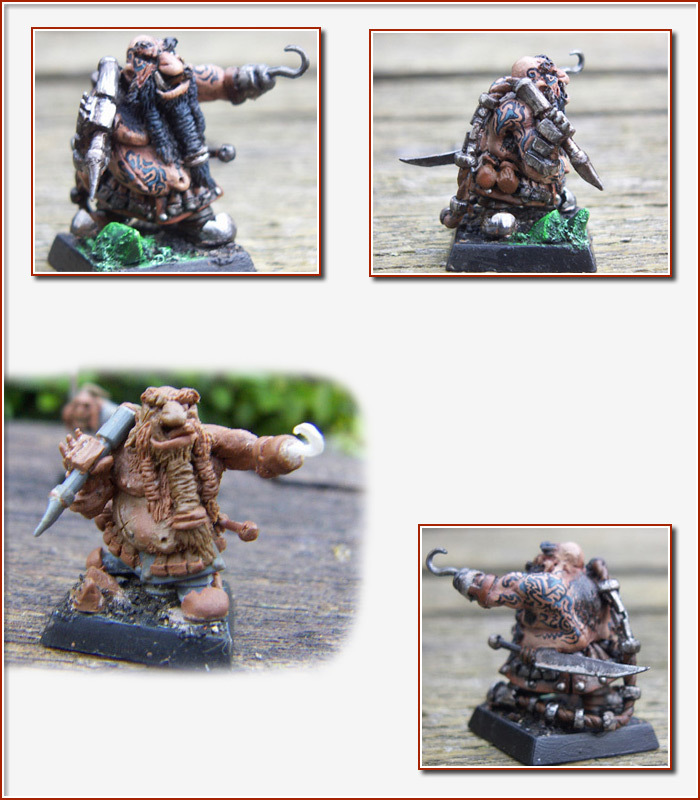 Gaoler - Chaos Dwarf Slaver by Snotling. 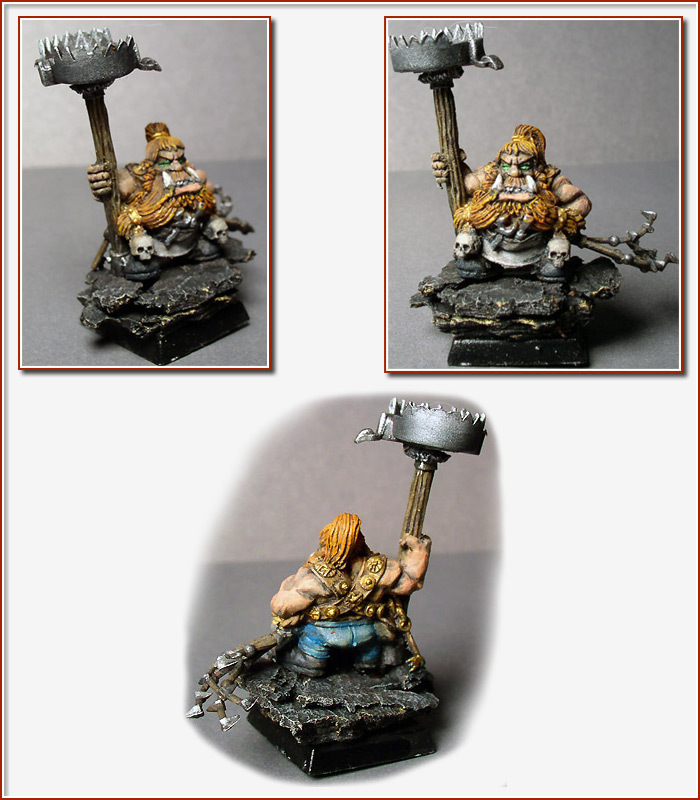 Gaoler - Chaos Dwarf Slaver by Obsidian. Gaoler - Chaos Dwarf Slaver by Vexxus. Gaoler - Chaos Dwarf Slaver by al-hashut. 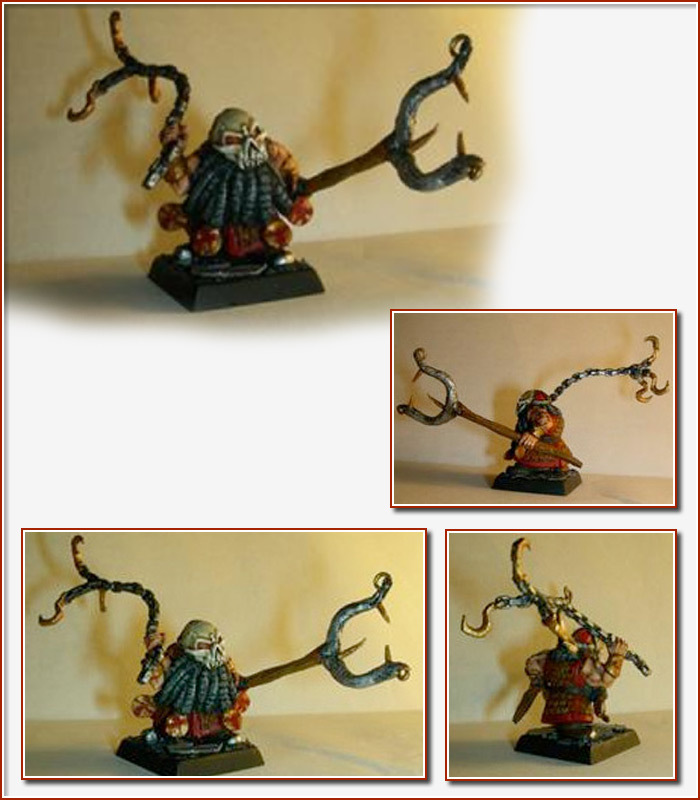 Gaoler - Chaos Dwarf Slaver by Clam. 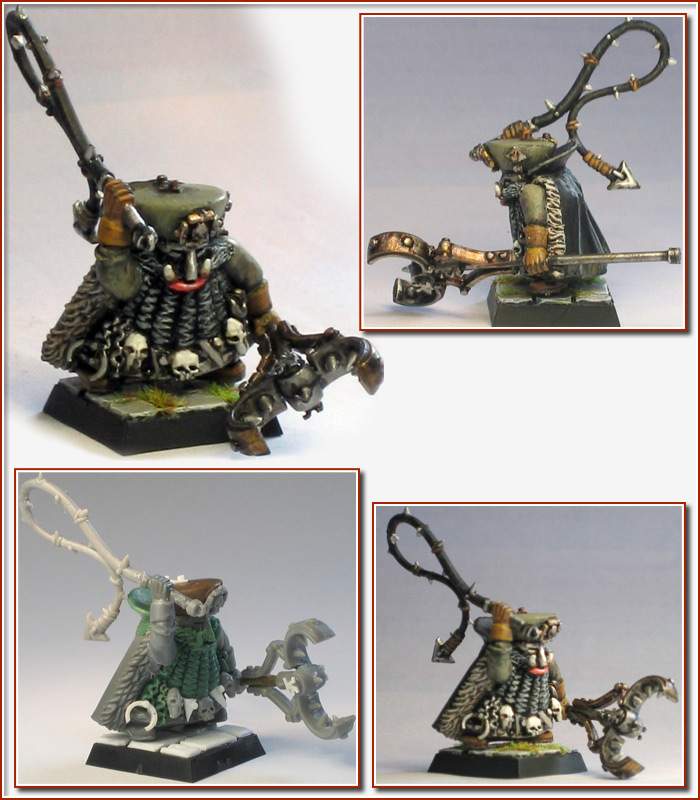 Gaoler - Chaos Dwarf Slaver by furrie. 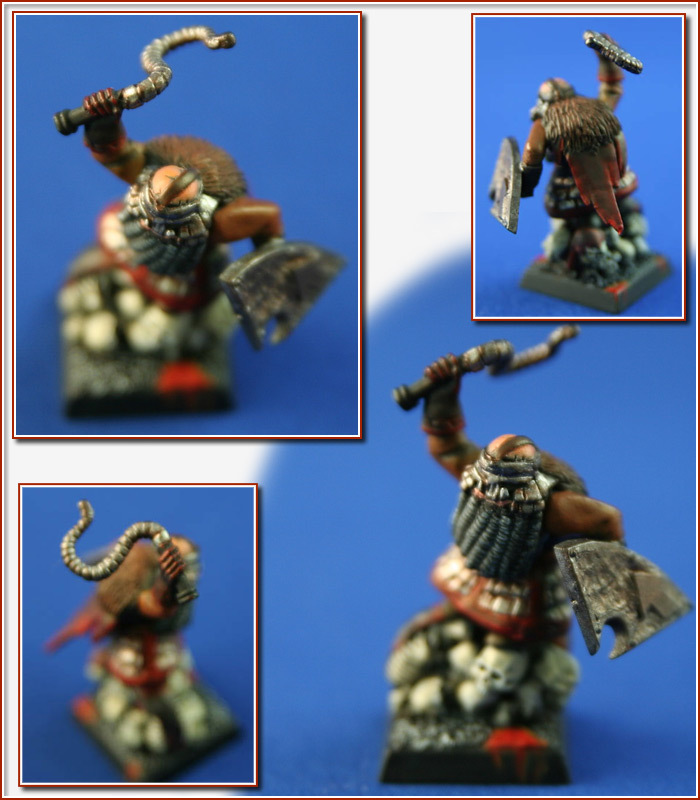 Gaoler - Chaos Dwarf Slaver by Hashut's Blessing. 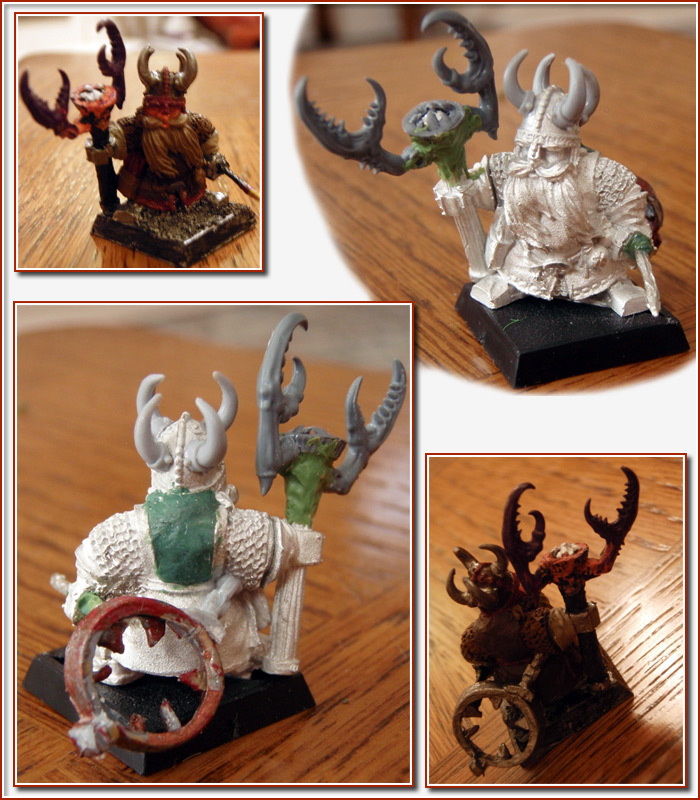 Gaoler - Chaos Dwarf Slaver by Kera Foehunter. 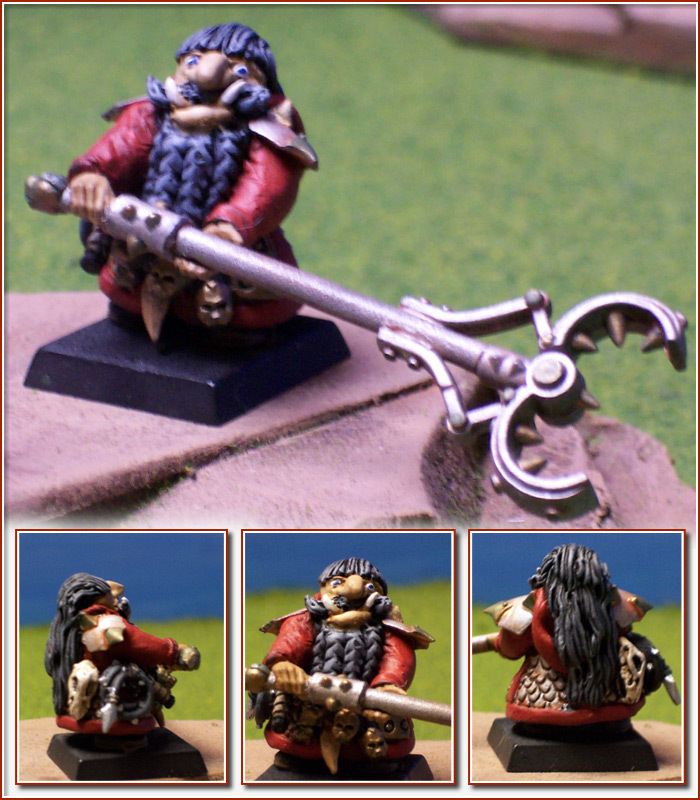 Gaoler - Chaos Dwarf Slaver by Knight of Awesome. 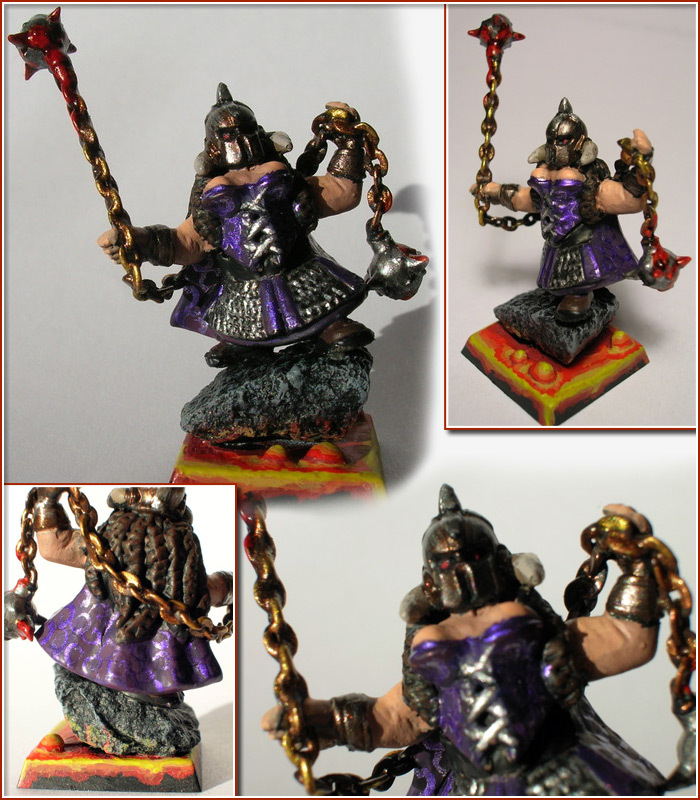 Gaoler - Chaos Dwarf Slaver by orclord. 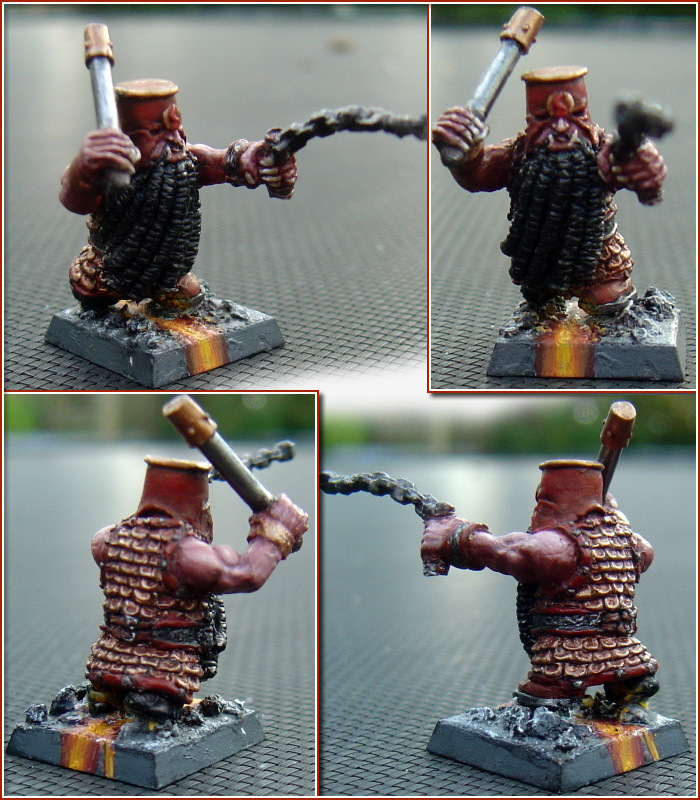 Gaoler - Chaos Dwarf Slaver by Revlid. 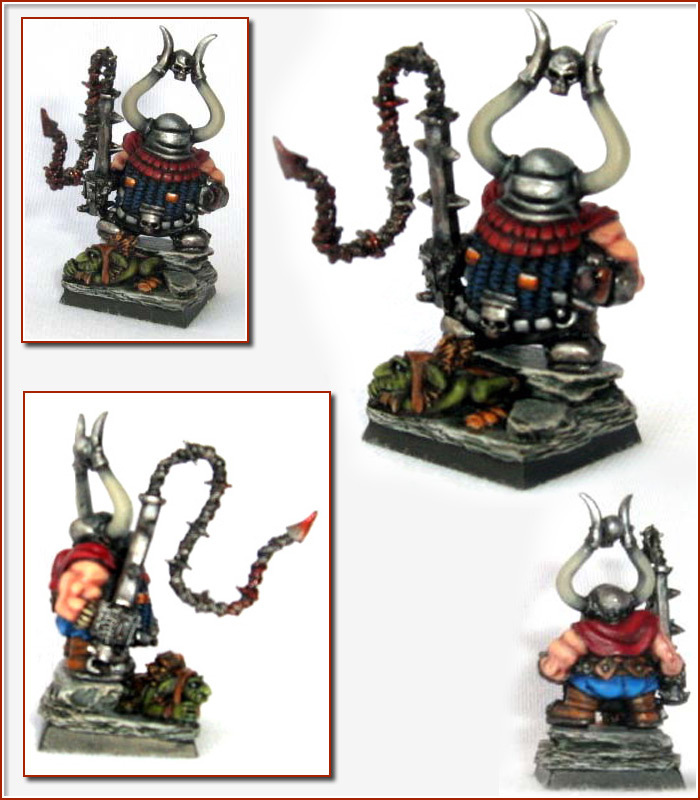 Gaoler - Chaos Dwarf Slaver by Sojourn. 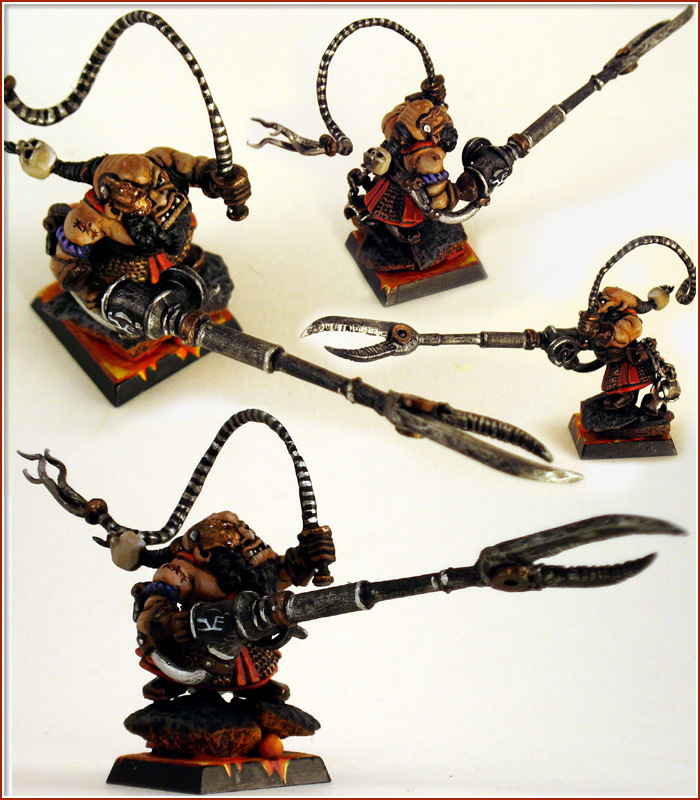 Gaoler - Chaos Dwarf Slaver by tirli_pinpon. Gaoler - Chaos Dwarf Slaver by Viskar Zhragoth. 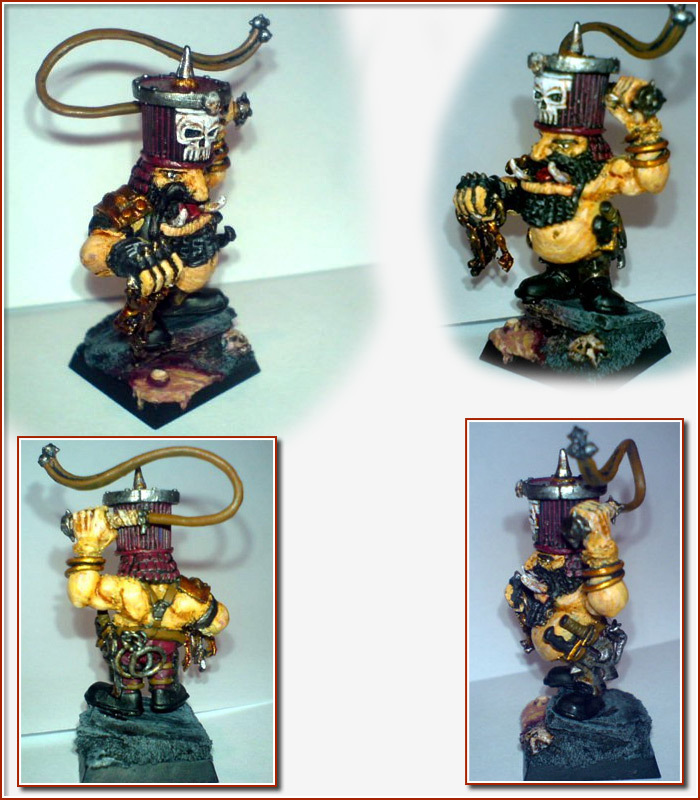 Gaoler - Chaos Dwarf Slaver by Warplock Monkey.